Kindle now has its own market and a certain percentage of readers prefer to read books only on Kindle. And that’s what increasing the demand for Kindle ebooks which eventually increasing the potential suppliers as well. Now days almost all books release with Kindle edition in order to grab the substantial buyers. But there are lots of websites which offer free kindle ebooks which you can download and read. There are hundreds of websites available over the internet you just need to search the right one. And to make your job easy we have already compiled the list of best websites which offering free Kindle Ebooks. Those who don’t have kindle can also use Kindle ebooks for reading. There is a Kindle app for mobile and Desktops just download and you are all set to read your Kindle ebooks. Amazon is the biggest source of Kindle Ebooks including both paid and free. 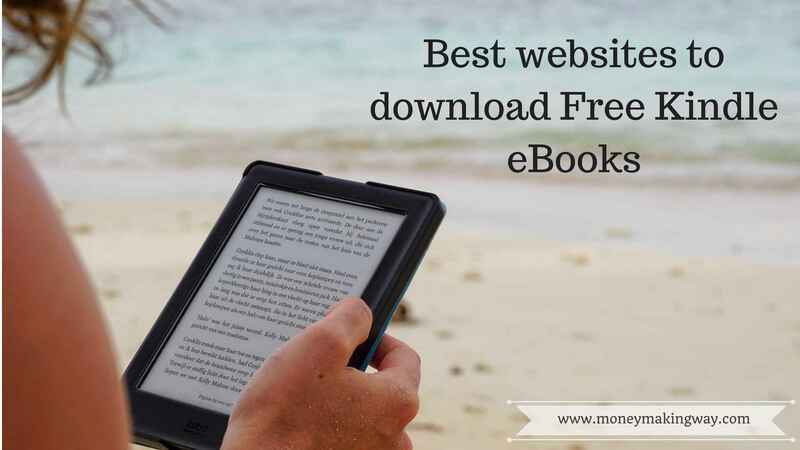 You can download hundreds of free books of different genres including, Novels, biographies, business, technology, education, history and entertainment. Amazon has two popular categories for free ebooks Top 100 free and Limited time offers and both have great collections to review. If you are a prime member of Amazon then you can get a free Kindle ebook every month. This website is a good place to get free kindle ebooks of new releases. They list new releases with $0 for a couple of days for promotion perspective and then move this into paid category. So you need to keep an eye on their updates to get the latest edition of free ebooks. You can browse ebooks through genres or search directly to their search bar. They have plenty of categories listed including, Arts, photography, biographies, business, cookbooks, history, entertainment, education, children, Money, Law, Medical, Mystery, religion, romance, sports and outdoors. Manybooks is a huge library of free digital ebooks and they also provide a platform to the authors for publishing. Which means you can also get free ebooks of new releases as author offer these as part of the promotion. You can also subscribe their newsletter which will give you update on new releases, discounted and free ebooks. You can browse books by Authors, Titles, Genres, Languages and popular. The best way to get the free ebooks is to first signup their newsletter. you will be notified via email about free ebooks or you can review their categories. Because As per website they post free ebook at least once a day in most of the genres. They don’t self-host and Most of the ebooks links are routed through Amazon. So we can consider them as a third party. The second category is Dollar books where you have to pay $.99 and third is free prime books. These are for those who are Amazon Prime members. Open Library is not only a great place to download free kindle ebooks but you can also lend. They have huge collections of books in recipes, textbooks, children, and history. They have more than 1.7 millions of scanned ebooks and also provide the link to external sources like Amazon and WorldCat. Book lending is a platform where you can lend and borrow books. It was created with a perspective to solve the issue of book availability. If your library does not have any specific book that you are looking for. You can try book lending the free Kindle ebooks can be borrowed for 14 days. Create an account and browse books by genre, title, and name. Once you become the member you can lend your book and can borrow the book you need. Project Gutenberg has a huge collection of more than 54,000 of free ebooks. Not only ebooks but you will also find audio books with good quality. Most of the books you will find under the classical category. You can search books by popular categories like recently added, Most frequently download, Top 100, and Book search. All the ebooks on this website are linked to Amazon and they don’t host their own copy. But the great thing about them is that they have a good collection and it is very easy and convenient to search ebook on OHF. You can search books by popularity, ratings, sales rank and genres. You can borrow books through overdrive App directly to your kindle account. But make sure that your local library should have a subscription to overdrive. They are connected with more than 38,000 schools and libraries. And huge numbers of retail sellers are available who are dealing with audio and ebooks. They also provide a platform to the publisher to promote and make revenue from their books. This website updates free books daily in many different categories. So you need to keep an eye on their updates and the other best way is to subscribe their newsletter. All the updates related to free kindle ebooks will reach directly to your inbox. This website has a great collection of Christian ebooks and every morning they update the site with free ebooks and discounts. Be the part of their alert services and get the details about new free Kindle ebooks. This one is also similar to the gospel which means you will find the majority of books based on Christianity. The site does not host their own copy so in most of the cases it will redirect you to Amazon. They also provide platform to authors to promote their books at $5 per day cost. At the same members also get the oppurtunity to get free kindle ebooks.